Ratchets are used instead of wrenches to speed up the process of moving a fastener. The more positions a ratchet has, the more it can turn a fastener in a tight space. The Gearwrench 120XP ratchet mechanism has 120 positions. It achieves this by utilizing a double stacked pawl that alternates with each engagement. The end result is 120 positions around a circle, requiring only 3 degrees of movement to move a fastener. It would be great if that was the only benefit but here are a few more. The ratchet also has a low profile teardrop shaped head and low profile switch to allow it to get into tight places. The long handle provides good grip and the polished finish makes cleanup a bit easier. It is also backed up with a lifetime warranty if anything were to go wrong. Using the 120XP is excellent. The short distance between positions really does help with hard to reach areas like the lower caliper mount bolt on a friend’s Nissan Altima. It was just as nice on easy to reach bolts thanks to the quick engagement and low effort needed. I would say it’s the best thing short of a powered ratchet. 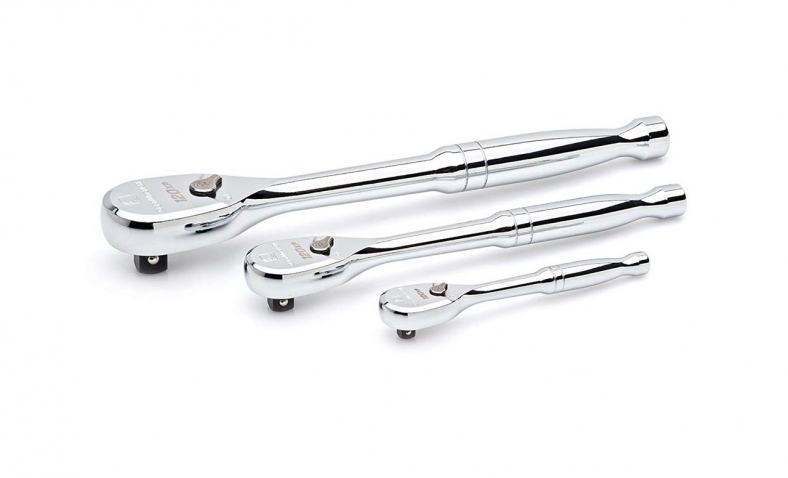 According to Gearwrench, the ratchets exceed ASME torque performance requirements. With the double stacked 60 pawl design I would have no reason to doubt this and haven’t felt a single instance where I though the ratchet would break free. 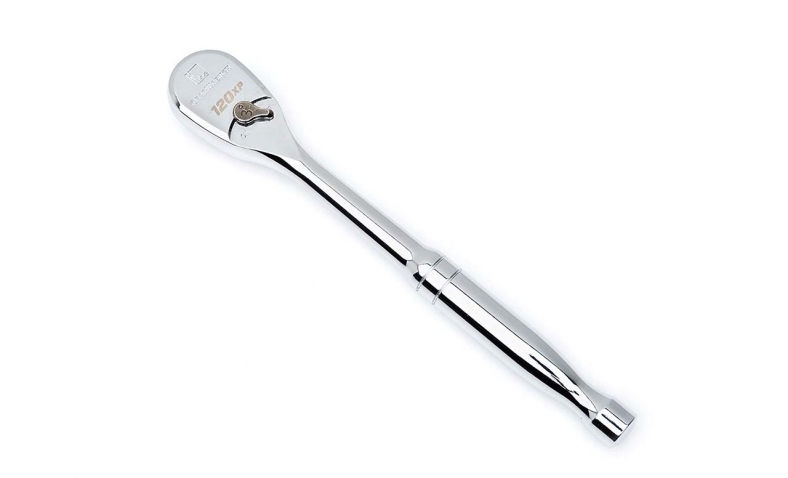 The ratchets are available in 1/4”, 3/8” and 1/2″ with polished or cushion grips. The cushion grips are more comfortable but the polished is easier to clean. A flex head version is also available. An excellent ratchet with great feel.